Why Outsource Your Accounting and Bookkeeping? Outsourcing your accounting and bookkeeping tasks to Burdick Tax & Accounting LLC gives you quality service from an accounting professional at a fraction of the cost of hiring a full-time bookkeeper. Additionally, gaining access to the financial oversight of a qualified CFO can help your business live up to its full potential. When you outsource you'll only pay for the services you need so its a cost-effective alternative to hiring another employee to do the work in-house. We can take on everything from invoicing and bill paying to payroll, financial reporting, and tax planning. There's no obligation so contact us for a free initial consultation or call 256-686-8126 today. We're a Decatur, AL accounting firm serving Limestone County, Morgan County and beyond. Why Choose Burdick Tax & Accounting LLC? There are several compelling reasons why Burdick Tax & Accounting LLC is the smart choice for outsourced accounting, bookkeeping and tax services in the Decatur, AL area and beyond. When you work with us you'll get a package of accounting services customized to your firm's needs. You'll also save money by only paying for the services you need and increase profits by taking advantage of our CFO services. No matter what services you choose, you'll get fast, friendly, personal attention from our staff. Consider the information below then request a free initial consultation through our website or call us at 256-686-8126 to learn more. Getting started is quick and easy so contact us today! At Burdick Tax & Accounting LLC we take the time to get to know your and your business so we can offer the dependable financial management that will improve efficiency, streamline accounting processes and save you money. We can deliver our services using our remote desktop feature or by logging into your computer remotely. You can also quickly and easily send us private files through our secure file sharing system. Eliminate the need to hire, train and pay an in-house bookkeeper by outsourcing all or part of your bookkeeping tasks to Burdick Tax & Accounting LLC. Our year-round tax planning strategies will minimize your tax liability and ensure there are no surprises at tax time. And even though you may not have the resources to hire a full-time CFO, our outsourced controller services are an affordable alternative. You’ll get all the benefits of a CFO at a fraction of the cost because you’re only paying for the services you need. Why spend time hiring another employee when we can get started right away? We’ll take tedious and time-consuming tasks like payroll processing, bank reconciliations and monthly closings and off your hands so you’ll have more time to manage your business. Financial guidance from an outsourced CFO can help get your business to the next level. Our outsourced CFO and controller services will help you improve and maintain cash flow, reduce operating costs and increase overall profits. Outsourcing your accounting and bookkeeping functions to Burdick Tax & Accounting LLC makes sense for all kinds of busy business owners. We’re a highly experienced Decatur, AL accounting firm and business advisor that’s ready to take time-consuming accounting tasks off your hands. We can handle everything from accounts payable and receivables to complicated items like payroll and monthly closings. You’ll have peace of mind knowing that a qualified professional is overseeing your finances with the utmost attention to detail and accuracy. And we’ll keep you consistently informed through monthly and weekly financial reports. So what are you waiting for? Hiring and in-house accounting department takes considerable time, effort and resources, but Burdick Tax & Accounting LLC is just a phone call away. Start saving precious time and cutting costs with our outsourced accounting and bookkeeping services. We offer affordable packages customized to the needs of all kinds of businesses. Request a free initial consultation today through our website or call us now at 256-686-8126. We’ll take the time to learn about you and your business needs with the goal of establishing a long-lasting relationship. Business owners shouldn’t spend valuable time and energy trying to process payroll in-house. Printing and distributing checks, calculating payroll taxes and preparing reports can quickly drain your resources. Our Decatur, AL accounting firm offers payroll processing solutions to save you time and make running your business easier. When you outsource your payroll to Burdick Tax & Accounting LLC, you’ll have peace of mind knowing that this critical aspect of your business is being handled by a firm that understands the ins and outs of payroll processing. We know how to pay different types of workers and how to correctly calculate payroll tax filings. We’ll submit all your federal and state tax deposits on time to avoid penalties and prepare W-2s and 1099s with precision. We can also deal with time-consuming issues like unemployment claims, worker’s compensation audits and other complicated payroll tasks. And we’ll always keep you informed with detailed payroll reports organized to your specifications. Best of all, you’ll receive the friendly service and personal attention that comes from working with a local Decatur payroll provider. We’ll take the time to conduct a thorough assessment of your payroll needs and formulate a package to meet them. Then we’ll work hard to deliver regular, reliable service and answer any questions along the way. We encourage you to take advantage of our free initial consultation to learn more. Call us at 256-686-8126 and schedule an appointment today. Our payroll processing rates are much lower than the larger national payroll companies and will fit the budget of any business. At Burdick Tax & Accounting LLC we deliver accurate, efficient preparation of all types of tax returns including corporate tax filings, multi-state taxes and individual income tax returns. Call Burdick Tax & Accounting LLC now at 256-686-8126 to learn more about our Decatur, AL tax preparation services or request a free initial consultation through our website. We prepare business tax returns for sole proprietors, partnerships, limited liability companies and corporations. Whether your business operates in Alabama only or has locations in multiple states, we can prepare and file your State and Federal taxes. 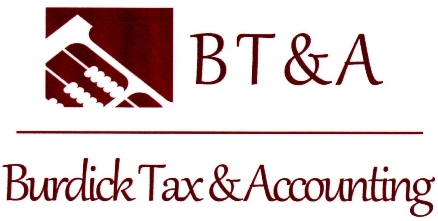 Burdick Tax & Accounting LLC is a Decatur accounting firm dedicated to helping businesses get control of their finances. We offer outsourced accounting and bookkeeping, payroll processing and outsourced CFO services with the goal of saving you time and money. Our services are customizable so you only pay for the help you need and our rates are designed to be affordable for all kinds of businesses. We’ll handle everything from month end closings and accounts payable to more complex accounting services like cash flow management, budgeting and forecasting. We can also take time-consuming payroll processing off your hands and file your federal and state payroll tax filings. As our client, you’re welcome to call our email us with any questions or issues and we’ll provide prompt, friendly service whenever you need it. Call us at 256-686-8126 and schedule a free initial consultation today to discuss how Burdick Tax & Accounting LLC can help make your business more successful. Melanie joined the Army immediately following high school and served for eight years. She was deployed twice to Bosnia during that time and worked as a finance clerk in the Army Post Office. Between deployments she worked on her degrees from Calhoun Community College and Athens State University majoring in Accounting and with a minor in Business. While state-side she worked as an accountant's assistant at a CPA firm. Since then she has worked as head of accounting with two companies, a large commercial/residential landscaping firm and a multimillion dollar government contractor that produces shelter systems for the military. She currently serves as the Treasurer for the Decatur Rotary Club, Decatur Morgan County Chamber of Commerce, United Way Women’s Leadership Council, the United Way of Morgan County. She serves as the Chair Elect of the Decatur BBB Advisory Board and serves on the Decatur-Morgan County Chamber of Commerce Board of Directors. Melanie is married to her husband and business partner, Benny Burdick. They have been blessed with two beautiful daughters. With more than a decade of accounting experience and a sharp attention for detail and accuracy, she is an honest and dependable provider for your accounting and tax needs. Benny Burdick grew up in Addison, AL and has a background in quality control and accounting. His experience has built an extensive knowledge of Excel, attention to detail and strong computer skills. He is part owner of Burdick Tax & Accounting and primarily serves as the payroll specialist and HR director. As a small business owner, he also has many other roles within the organization. Benny loves spending time with his family and is a dedicated husband and father. Melissa realized her passion for accounting while helping a small chiropractic clinic meet their budgetary needs. She could depend on the checks & balancing system of accounting to solve financial problems and help businesses all at the same time. 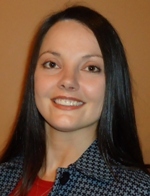 She pursued her Bachelor's Degree in Accounting & achieved it through Southeastern Louisiana University. With over 10 years of experience working within the accounting field, Melissa is greatly enjoying using her experience to benefit others. She is a team player that works efficiently and effectively on any task given. Melissa is married with two amazing children, a son born in August of 2012 and a daughter born in 2011. In her spare time, she enjoys the outdoors, cooking and spending time with her children. Lindsay Smothers grew up in Gardendale Alabama. 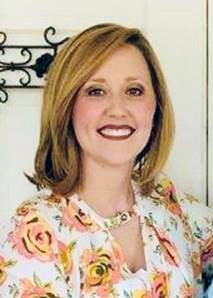 Before graduating from The University of North Alabama with a degree in Business Administration majoring in accounting, she attended Wallace State Community College while working at a specialized pharmacy in accounts receivable. It was here where she discovered her passion for accounting. She is married to her husband of six years, and has one daughter. In her spare time she enjoys spending time with her family and participating in church activities. You can trust Burdick Tax & Accounting LLC with all your accounting, bookkeeping and payroll needs because we know how to work with all kinds of small businesses. We understand that every business is unique so we don't try to fit you into our mold. We allow each business to dictate which services they require and how we'll deliver them. Whether you need full-service accounting, monthly bookkeeping, bi-weekly payroll processing, tax preparation, or CFO services, we can help. Our flexibility, combined with our affordability and outstanding customer service makes us the best choice for businesses in any industry! Fill out the blanks below and click Send for your free consultation. Just need to get in touch with us? You can email us at info@burdickaccounting.com. We look forward to hearing from you! © 2011 - 2018 Burdick Tax & Accounting LLC - All rights reserved.